Space engine would be perfect if there were nova and supernova explosions. Welcome to the forum cv. Supernovae would be awesome and they are being considered.. Space Engine's guiding principle is 'if it happens/exists in nature, then it will be portrayed eventually, provided it is plausible from a computational/coding standpoint'. so i was thinking if there could be more weather events and once you get to the ground of a planet, it will tell you the weather of where you are. Is it possible to add an ESI (Earth Similarity Index) to planet info? In SE 0980 actually ESI it's in wiki info, as well as in the main GUI. 1. whats the point of having planets all the way out like 5 ly away and having them still there and we could have space stations or buildings on planet even life? why cant we just load the planets when we get near them? 2. i heard this before but i need a refresh so why cant we have a info tab of procedurally generated creatures on a life-bearing planet? whats the point of having planets all the way out like 5 ly away and having them still there ... why cant we just load the planets when we get near them? and we could have space stations or buildings on planet even life? Sure, eventually. They're not super high on the priority list right now. Me too. I'd also like a pony made of diamonds and I'd like someone to give it to me for free. More seriously, can you imagine how much work that would be to create as a mod? Who do you think is going to do that? A lot of these things are planned to be in the game eventually anyway. Some ideas... I would love to see the Milky Way gas clouds as seen on photos from Earth. Also Would be nice to simulate real behavior when flying at speed close to the C (view stretching, purple shift etc...). Keep up the good work! gamadh, a planet destroyed by a massive impact or other violent event would never look like that. Either the remains would very quickly form back into a sphere, or if it was so violent as to disrupt the world completely, you'd just have a large debris disk around the star. dejmiens, what do you mean by gas clouds? 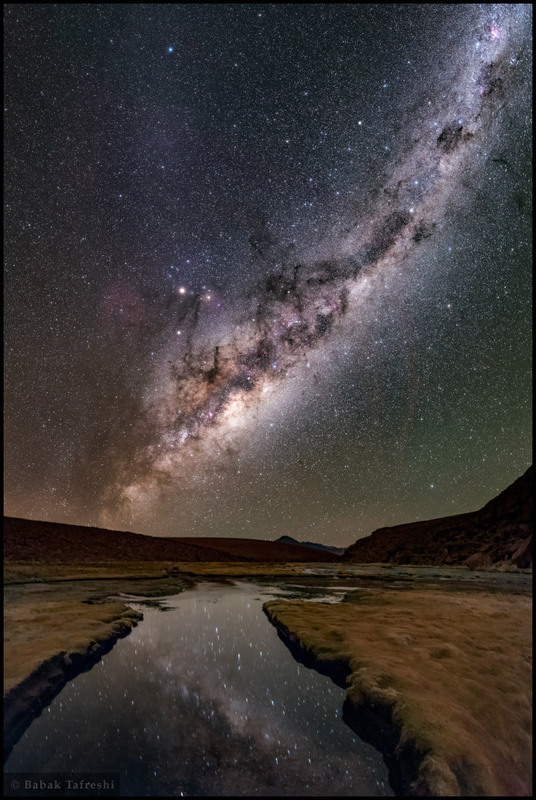 The visual appearance of the Milky Way, and that which is usually seen in photographs is clusters of stars and dark regions of obscuring dust, which Space Engine shows. There are some emission nebulae where the gas visibly glows, like the Orion Nebula, and Space Engine shows these, too. If you mean the clouds of non-ionized gas, then these are not seen in visible light, but in other wavelengths like radio.